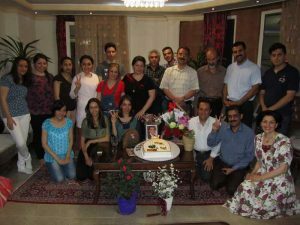 On July 8, a number of political and human rights activists from Kermanshah, as well as some relatives of Iqan Shahidi—an imprisoned Baha’i student—came together at the home of Iqan’s father in Kermanshah to celebrate Iqan’s birthday and honor him. 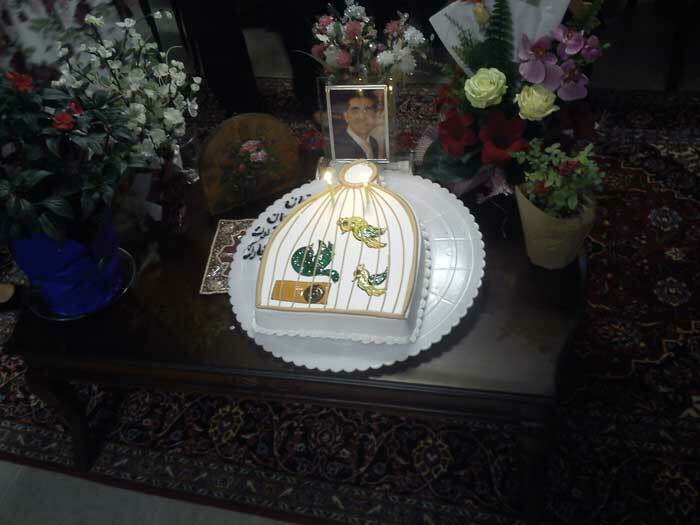 During the celebration, Iqan’s mother alluded to some of the difficulties her son is facing in Raja’i-Shahr prison, including her inability to receive letters from the prison. She noted that, “We even asked the censors at Raja’i-Shahr Prison to inform us of any protocol in our letters that we may have violated so that we can observe it in the future and exchange letters with our son. Despite our efforts, our suggestion was not accepted. Phone contact has also never been an option; thus, Raja’i-Shahr prison officials have effectively denied any sort of contact with family members. In addition, conditions inside the prison are also problematic. For example, last winter there was no hot water, so prisoners were forced to shower with cold water.” In a similar vein, she also complained about the low quality of the prison food. Everyone in attendance repeated these lines a few times to honor his memory. Iqan Shahidi is a Baha’i student who was born on July 8, 1988, and has been barred from pursuing a higher education. On March 2, 2010, Iqan was arrested as a result of his efforts to legalize access to higher education for all, and sentenced to five years’ imprisonment, of which he has now served about 25 months. He is currently being held in Raja’i-Shahr Prison.